We call on all sport and physical activity organizations to commit now to take proactive action that will prevent harassment and abuse in all its forms. organizations to do the same. Ringette Canada's Female Coach on the Bench Policy looks to increase the amount of female coaches within their organization. 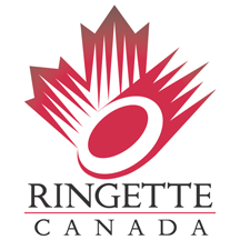 This policy requires a certified female coach to be associated with all Ringette Canada teams. An accompanying Action Plan provides a blueprint for the sport organizations to develop and retain female coaches. Read a case study on this initiative. 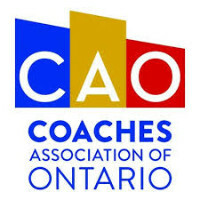 The Coaches Association of Ontario launched their #SheCanCoach campaign, encouraging the recruitment of female coaches and changing the conversation on who can coach. We salute your ground breaking efforts! Girls continue to drop out of sport at higher rates than boys. Research led by Dr. Catherine Sabiston at the University of Toronto discovered that weight commentary and body talk from parents, peers, coaches, teammates, and opponents all contributed to poor sport experiences which ultimately led to drop-out. This webinar will discuss the research findings and provide recommendations for coaches and other sport leaders to help reduce body image challenges. Join us in Winnipeg on February 27! This session will provide an opportunity to discuss current trends and best practices relating to activities to engage women and girls as participants and leaders in recreation, sport and beyond. This workshop will be delivered in partnership with Recreation Connections Manitoba, Sport Manitoba, Manitoba Status of Women, Coaching Manitoba, Recreation and Regional Services, and Winnipeg Regional Health Authority. Join us in Vancouver on March 8th! CAAWS and partners ViaSport, ProMotion Plus and BC Soccer want to #LevelTheField this International Women's Day by hosting an event to support and increase female leaders in sport! This event will provide an exciting opportunity to network with colleagues, hear from experts in the field for a panel discussion on developing and recruiting females, and take part in a workshop on effective mentoring relationships. Leslie Dunning for being elected Golf Canada Board President. Read more! Nancy Lee for her sucessful efforts to shift women's Olympic events into the spotlight of prime time coverage in Pyeongchang. Learn more! CAAWS is active from coast to coast including provincial events in Manitoba, B.C., Saskatchewan and Nova Scotia! Get all the details on upcoming events, workshops and webinars today!